With Melanie Dyer having already released a Country/Pop Album “Fresh”, with a Number 1 hit on the Country Airplay charts for five weeks, she’s also toured with The McClymonts during 2017. 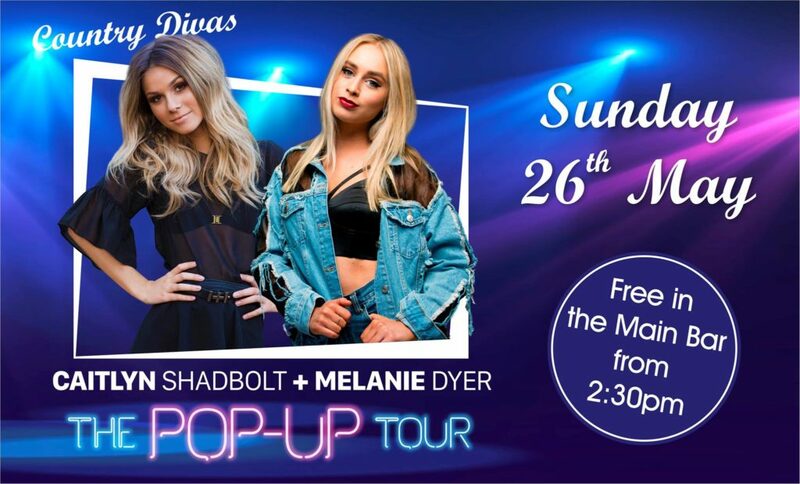 Caitlyn Shadbolt, is known for her time on X-Factor, where she was mentored by Ronan Keating & finished 5th…She’s since gone on to record & release singles then an album in 2017, Along with her single “Me without you” featuring Reece Mastin. Both girls have been nominated for numerous awards, during their careers over the last few years, including Caitlyn’s 2016 CMAA “Best New Talent” Nomination. They have their own unique sound that you’ll be sure to love. So come & see join us for an afternoon of great entertainment.